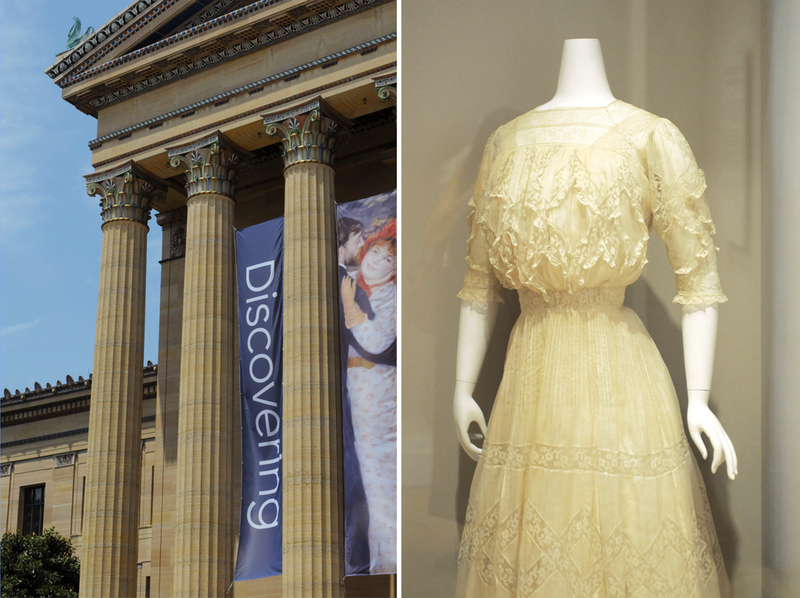 I did not expect to spend that many hours wandering in the alleys of the Philadelphia Museum of Art. 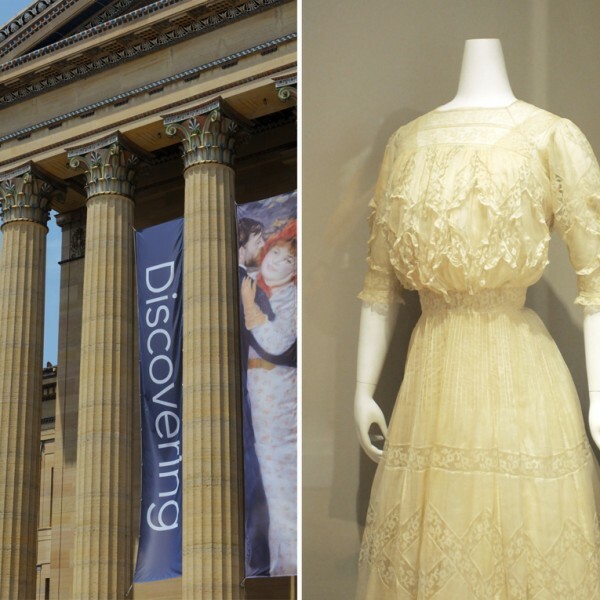 It is so pleasingly easy to lose yourself in the maze of these dazzling masterpieces from Brancusi to Monet, Matisse to Cy Twombly: paintings, sculptures, installations from modern and contemporary masters. 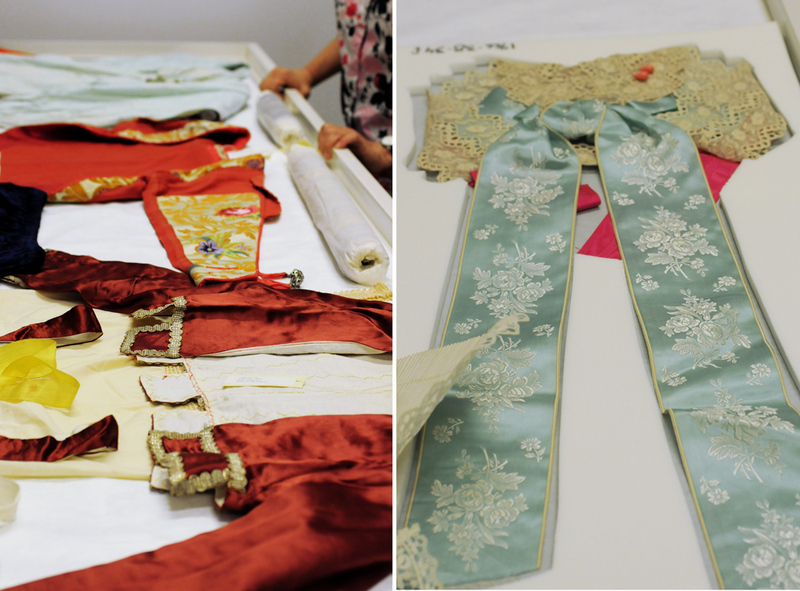 In the museum’s main building, only one room-Gallery 271- is dedicated to textiles and costumes. 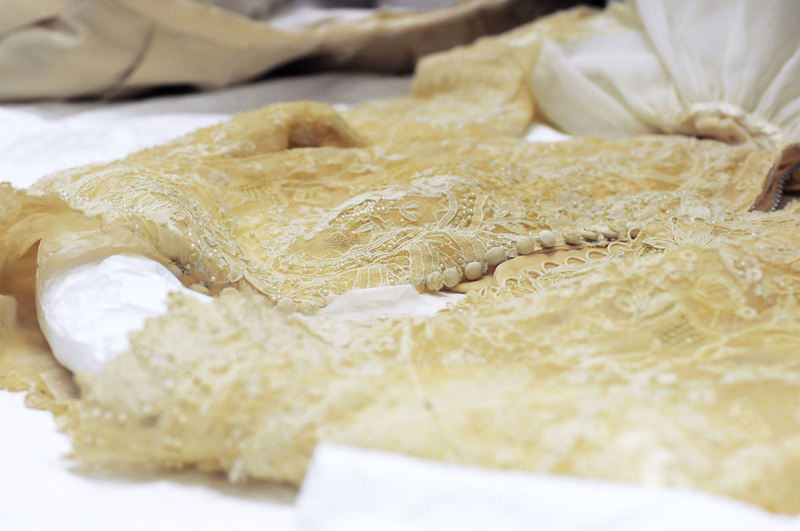 The show on display was offering a selection of antique white lace dresses as a variation on the topic of the little white dress. 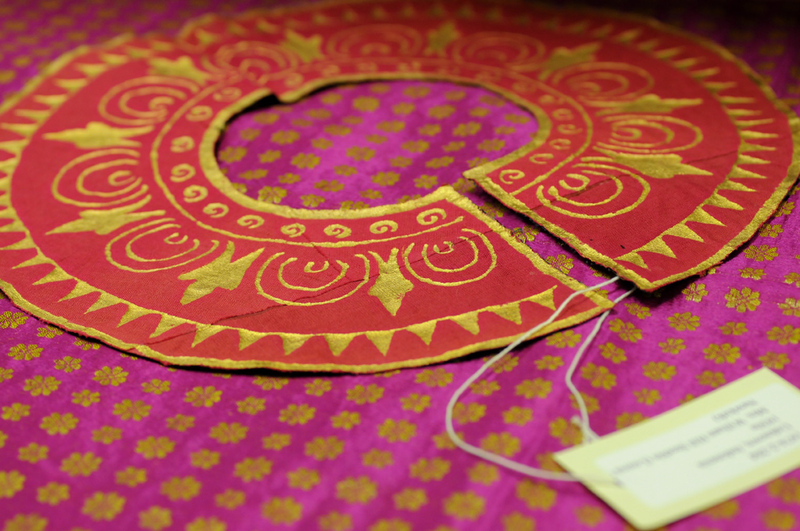 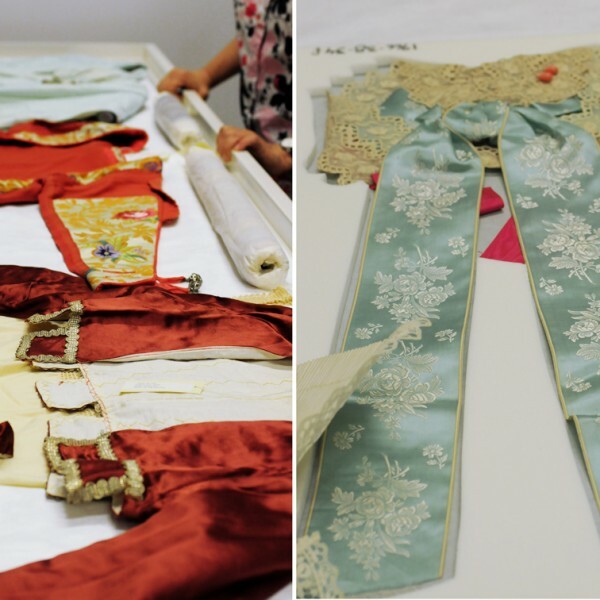 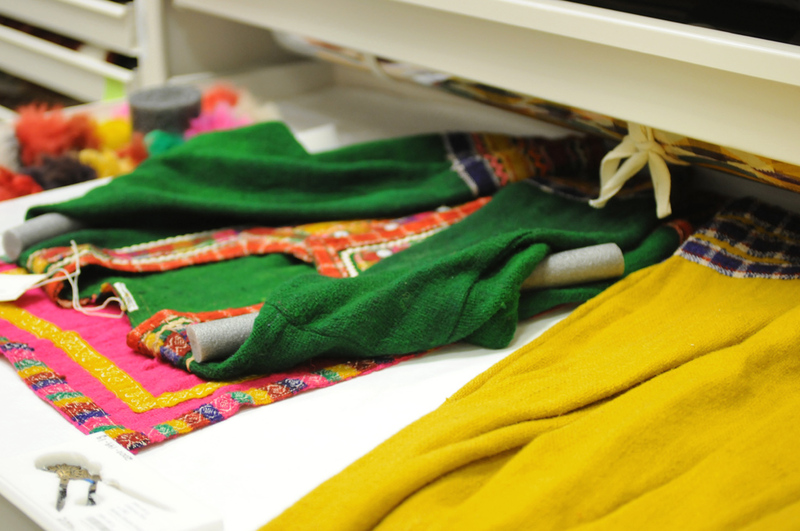 To fully understand the value of the museum’s textile collection, one needs to visit the adjacent Perelman building that holds the Dorrance H. Hamilton Center for Costume and Textiles. 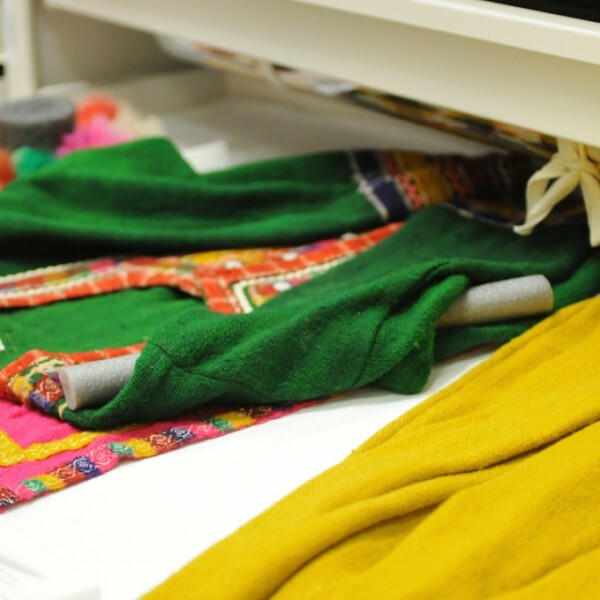 There the gallery space on the second floor showcases curated exhibitions – this time about shawls – that highlight an aspect of the Philamuseum’s abundant textile repository, one of the oldest and largest of the United States. 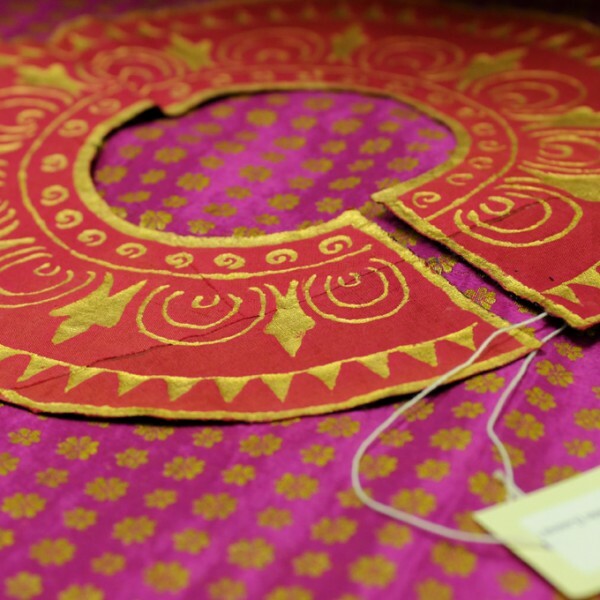 It is also possible to book appointments to see and study specific objects. 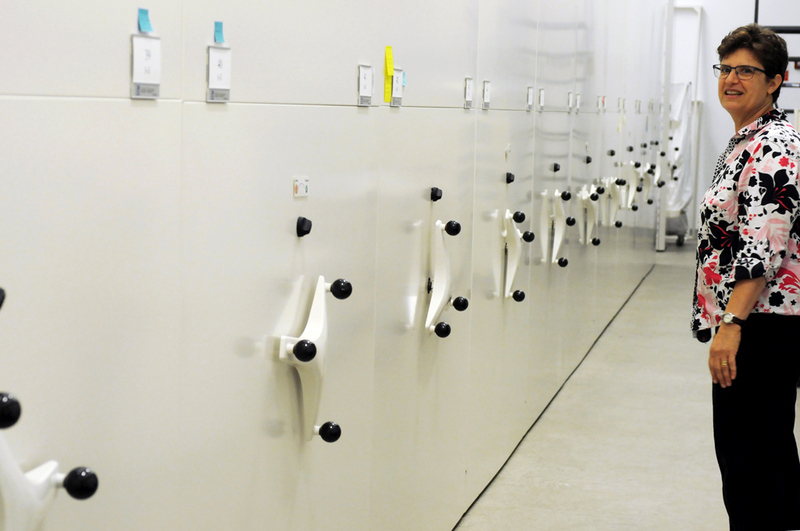 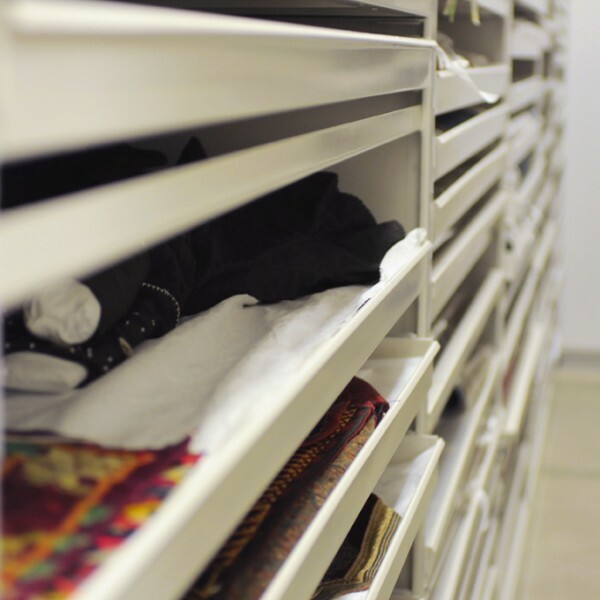 The Perelman Building also nests the conservation lab along with the impressive storage space containing over thirty thousands costumes, textiles and accessories. 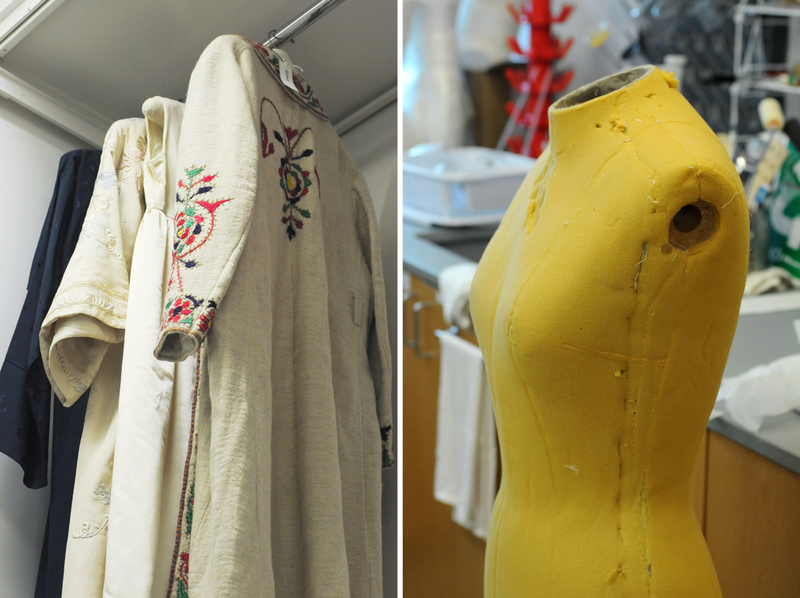 Sara Reiter, Senior Conservator of the Costume and Textiles Département welcomed me in this textile haven (image 3). 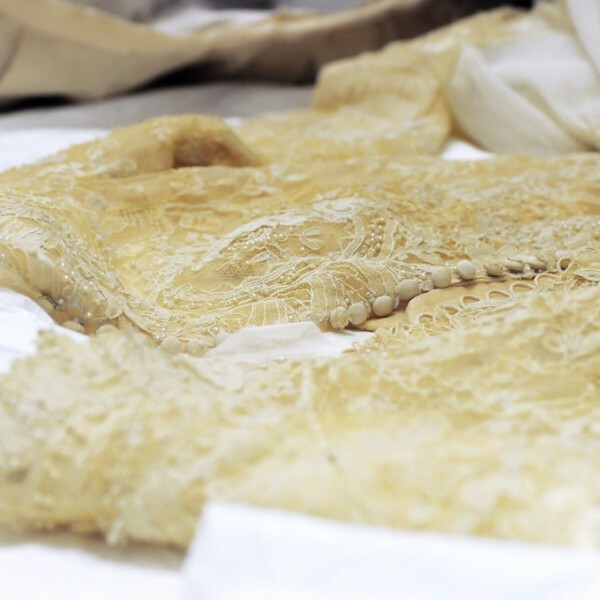 Somptuous Haute Couture gowns, ancient textile swatches and panels, folk costumes from the world, male wardrobe, but also precious accessories to be dressed from head to toe… The storage holds many treasures including Philly-born Grace Kelly’s wedding dress in vintage lace (image 2). 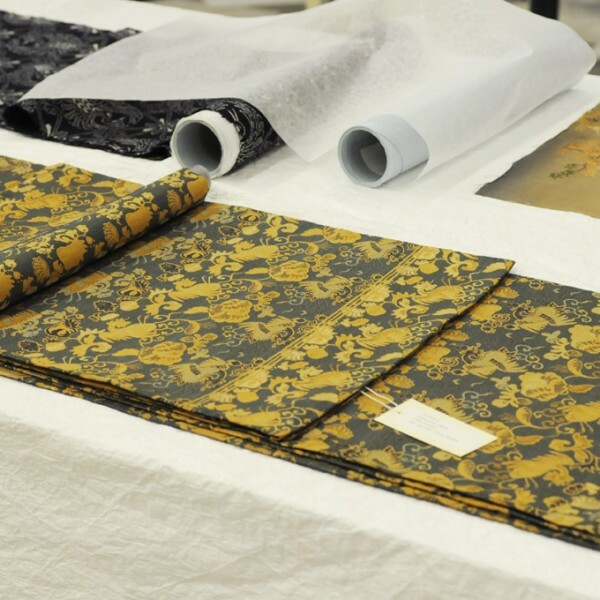 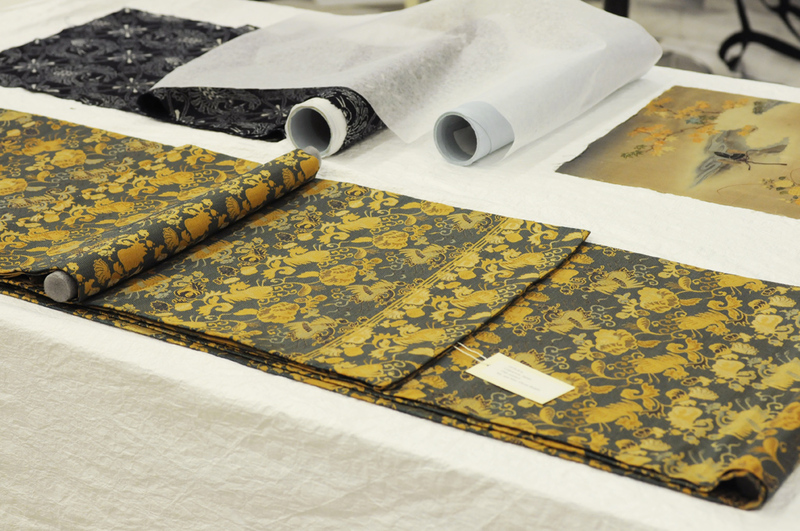 The storage design is at the forefront of innovations in textile conservation. 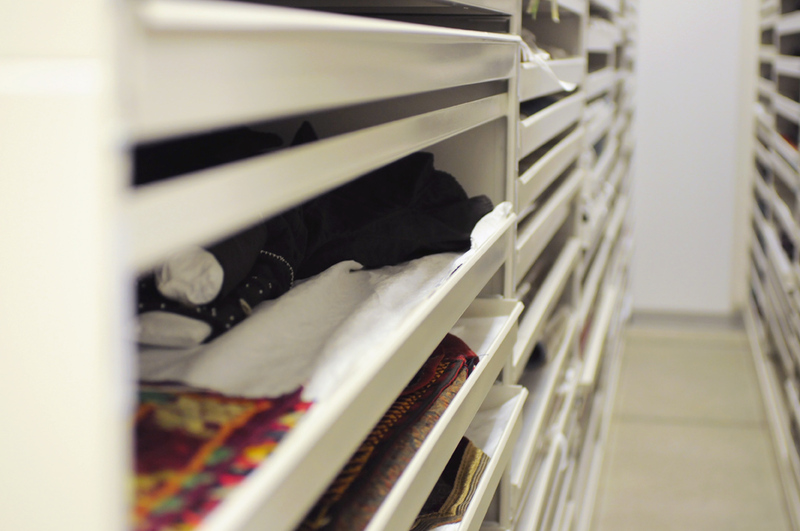 This model of technology offers a controlled setting for these fragile textile pieces of such diverse formats, thus allowing to present them in the best way: flat in large drawers, rolled on steel bars, and suspended on padded hangers. 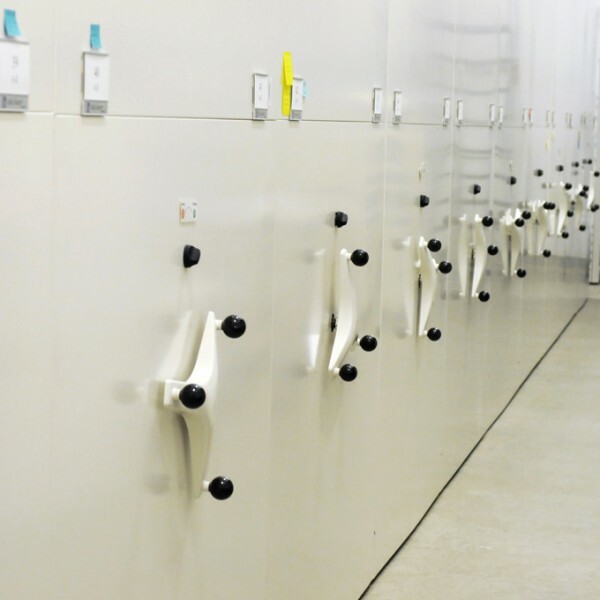 This custom-made space is considered one of the biggest in the country, built in order to bring the proper environment for conservation. 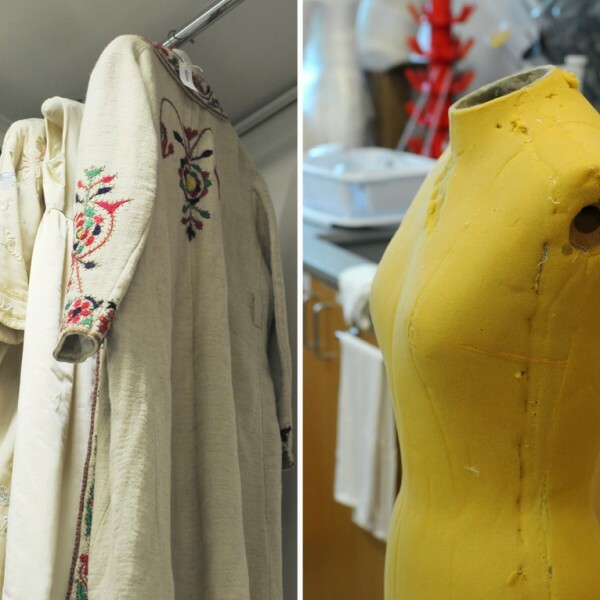 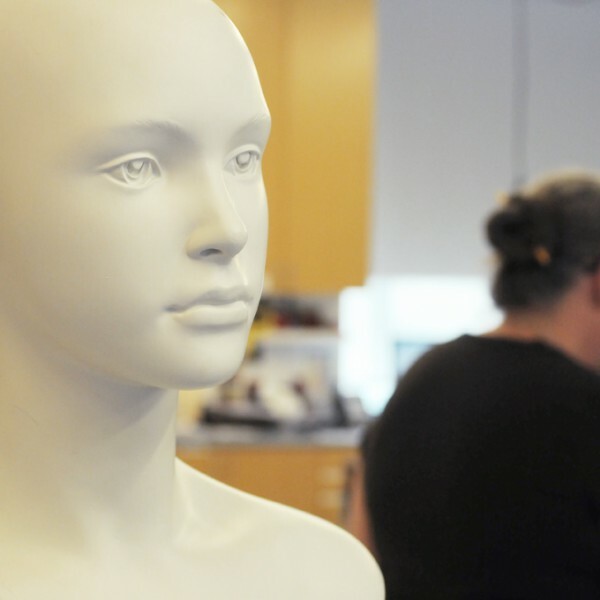 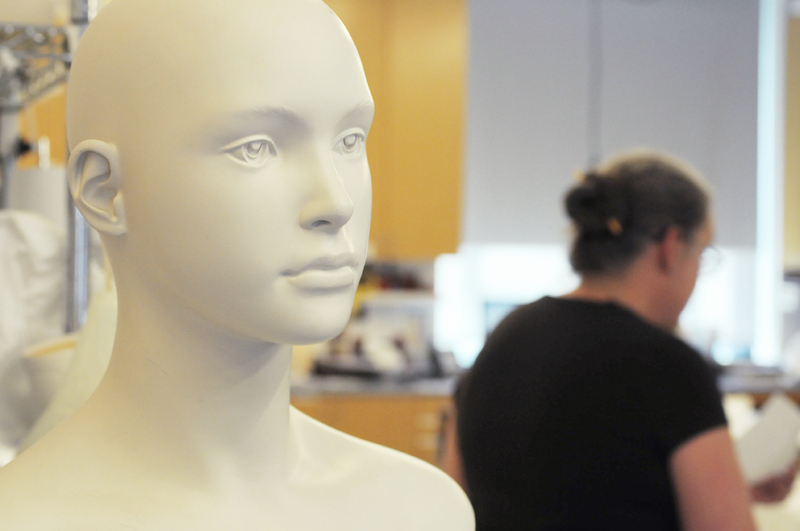 The whole department is in charge of taking care of the textile and costume collection, to preserve the objects, make frames and boxes for the storage, and also build mannequins that will later on be used to display costumes for future exhibitions within the museum.